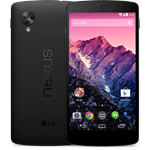 Hot on the heels of its release, the Nexus 5's factory image and drivers (including those from Qualcomm) have already been posted. As usual, the Nexus 5's newly uploaded assets are right in line with the rest of the Nexus family, though no other members of the family have gotten a 4.4 update just yet. Those developers or enthusiasts who want something to play with can hit the appropriate link below to grab the image and/or drivers.